Round brilliant diamond set in a narrow cushion shaped halo of diamonds, handcrafted in platinum. 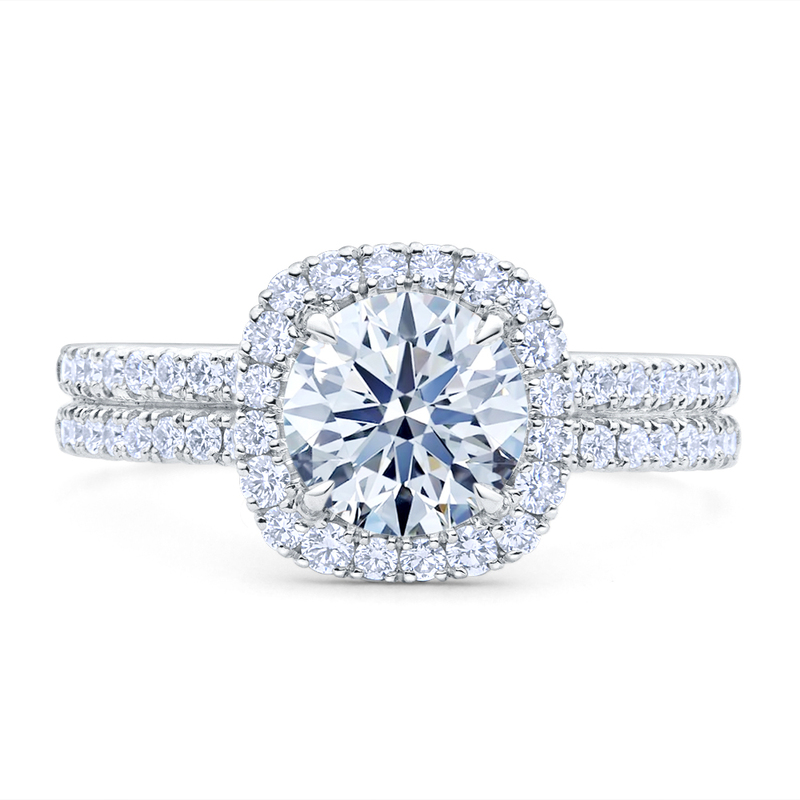 This design features a dual shank and basket outward edge halo. Each accent diamond is french pave set.